Frankfurt, Germany – Philips Lighting, a Royal Philips (NYSE: PHG, AEX: PHIA) company and global leader in lighting, unlocks the power of white light with Philips Hue white ambiance. Inspired by the sun, this connected light can gradually brighten to help you wake up naturally and gently dim to help you drift to sleep more peacefully. 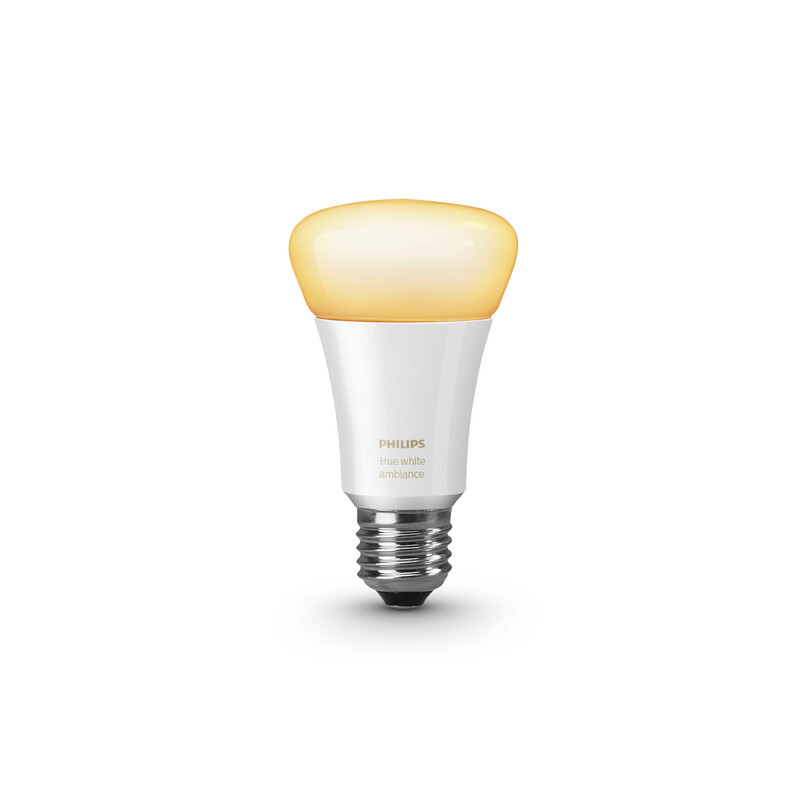 Delivering every shade of white light from cool daylight (6500k) to warm white (2200k); and with easy access to light recipes that help you to relax or feel energized throughout the day via the app on your smart device or the Philips Hue dimmer switch in the starter kit, Philips Hue white ambiance enhances every moment at home effortlessly. Philips Hue white ambiance was designed with your daily routines in mind, and truly comes to life with the new ‘Routines’ feature which will be in the upcoming Philips Hue app. Imitating the rise of the sun, ‘Wake up’ routine gently increases in brightness to naturally wake you up in the morning on time. Replicating the sun setting, ‘Go to sleep’ routine gradually dims until it is off, preparing your body for falling asleep. For those with young children who have to get up in the middle of the night, ‘Nightlight’ is a new light recipe which delivers a low level of light whilst also minimizing exposure to blue light, lessening the disturbance to your sleep cycle. The proven light recipes in the Philips Hue app are designed to help you throughout the day when concentrating on work, reading, relaxing, to get energized or unwind at night. With Philips Hue white ambiance, you can also create striking and beautiful white light effects that impact the look of your home. If you have an open plan living and kitchen space, use these connected lights to subtly divide the space – opt for a crisp white light effect in the kitchen area and a warm white light in the living room area. Change the ambience of a hallway from practical when returning home to welcoming when guests arrive instantly through a subtly change in the shade of white light. 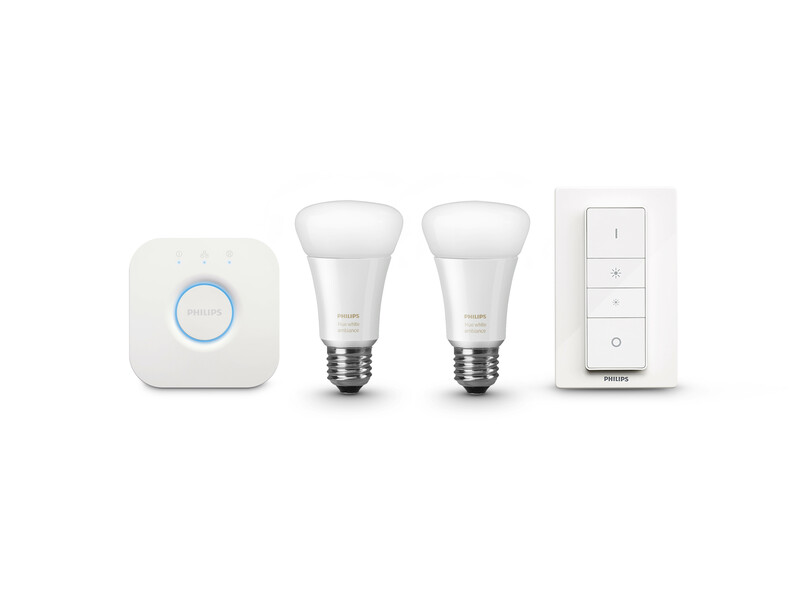 With more ways to control Philips Hue in the home than ever before, Philips Hue white ambiance starter kit comes with two Philips Hue white ambiance bulbs (800 lumens at 4000k), a bridge that supports Apple HomeKit and also a Philips Hue dimmer switch. This means that you can control all your Philips Hue lights via the Philips Hue app on your smart device, Siri voice control and Apple Watch. Anyone else, including children, can use the portable Philips Hue dimmer switch to turn your lights on, off or access the light recipes. Delivering exciting new lighting experiences in the home is at the heart of Philips Hue, and the key to this is working with other apps, products and platforms. Philips Hue lights seamlessly work with Nest Learning thermostat, Nest Cam, Nest Protect and other smart home devices such as Amazon Alexa to truly transform how you experience and interact with light in your home. Through the developers program Philips Hue now has more than 600 third party apps that interact with it. SleepCycle app works as an alarm clock which wakes you when you are in the lightest sleep phase by simulating a natural sunrise with Philips Hue. Sunn app keeps your body clock in sync with nature by adjusting the color and brightness of Philips Hue light from sunrise to sunset. Philips Hue white ambiance lamps will be available from spring 2016 and integrated luminaires will be available from fall 2016 across Europe and North America. Philips Lighting, a Royal Philips (NYSE: PHG, AEX: PHIA) company, is the global leader in lighting products, systems and services. Our understanding of how lighting positively affects people coupled with our deep technological know-how enable us to deliver digital lighting innovations that unlock new business value, deliver rich user experiences and help to improve lives. Serving professional and consumer markets, we sell more energy efficient LED lighting than any other company. We lead the industry in connected lighting systems and services, leveraging the Internet of Things to take light beyond illumination and transform homes, buildings and urban spaces. In 2015, we had sales of EUR 7.4 billion and employed 33,000 people worldwide.